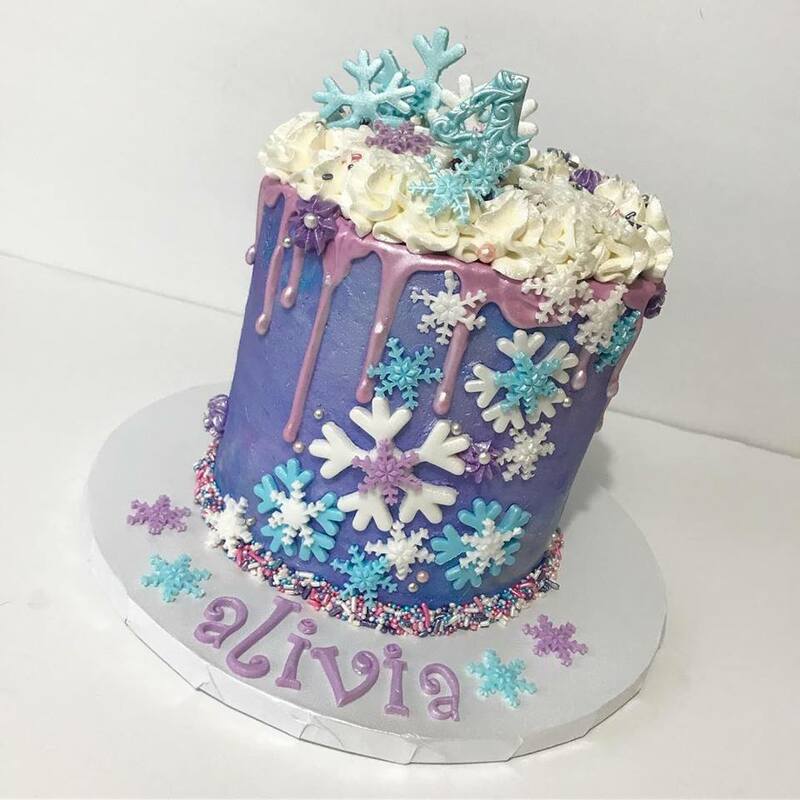 Call or text today to place a cake order! 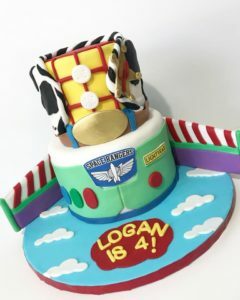 See more on our Facebook page & call or text today for a custom cake quote! Hidden Gem Cakes can help you with your dessert table for your next event! 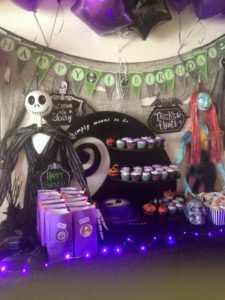 Check out this one from a Nightmare Before Christmas themed birthday party! 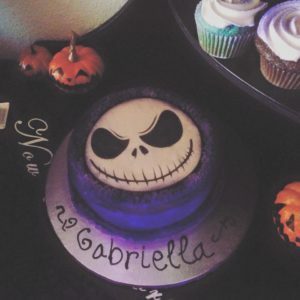 Cucpakes, cake, and treats all done by Hidden Gem Cakes. We are booking up for weekends in August very quickly! 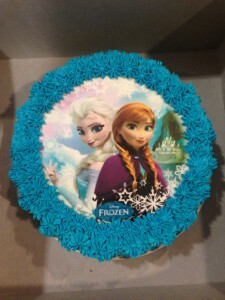 While Hidden Gem Cakes always tries to take on last minute cake orders, sometimes it isn’t possible. 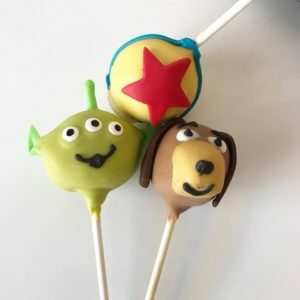 For custom cake, cake pops, and cupcakes it is best to place your order at least 2 weeks before your event, (and even further in advance if you can). 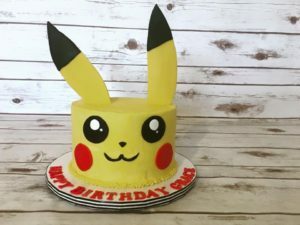 When calling, please have your theme in mind, what kind of cake you would like, and how many people you will be serving. 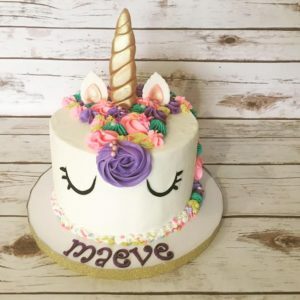 We also welcome and appreciate photos and ideas that you have found, but please remember that all of our cakes are custom made and we do not copy or duplicate other bakers designs exactly. 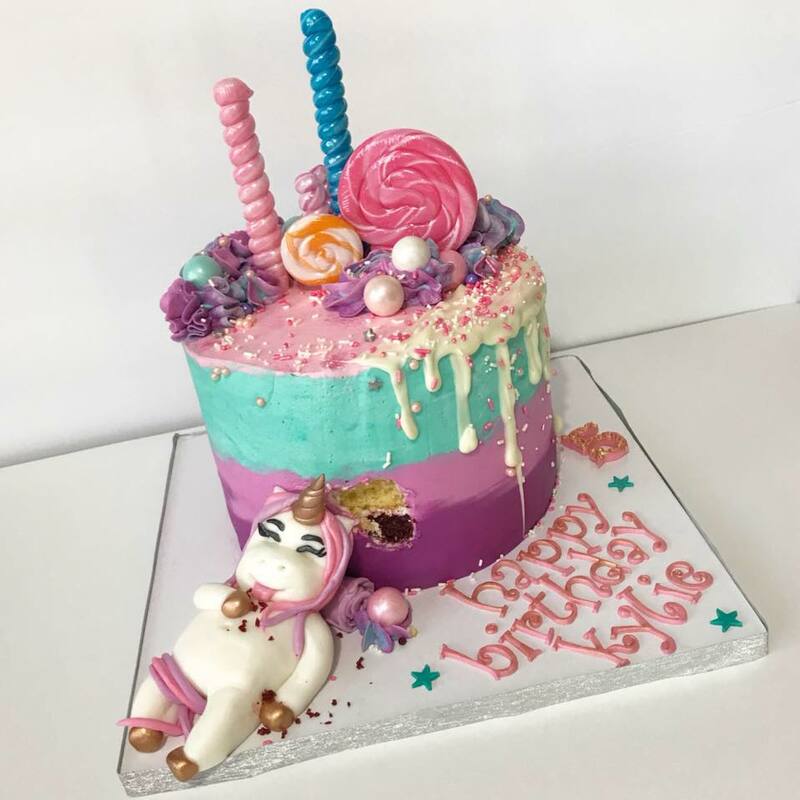 We feel that every cake should be special and unique. Custom cakes are delicious works of art! Call or text 480-395-3593 today if you would like information on pricing or availability. Here is one of our orders from this week. 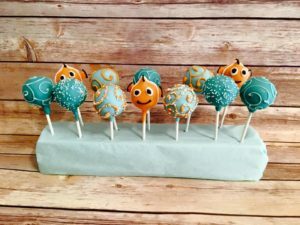 It is a Finding Nemo pull apart cupcake cake, additional cupcakes, and Nemo cake pops! Everything we do is custom, from scratch, and made to order! 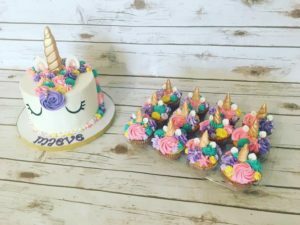 Custom cake orders on a budget in Phoenix? – try a cupcake cake! Pull apart cupcake cakes are perfect when you don’t need a giant cake, or if you are on a bit of a budget but still want something extra special. 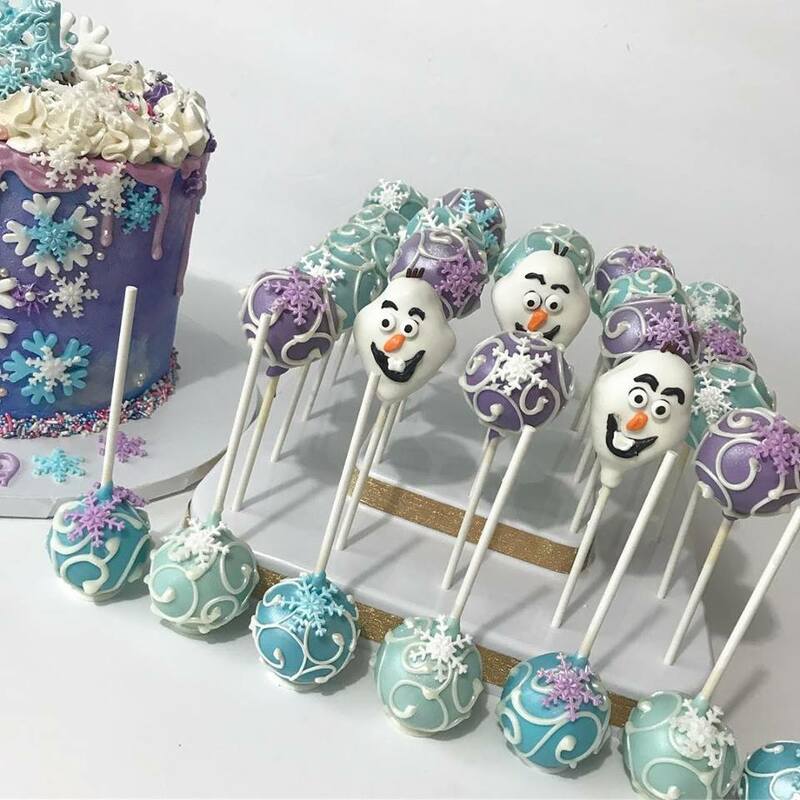 They look beautiful and are always custom made to order with fresh ingredients – not like buying a frozen grocery store cake! Pull apart cupcake cakes start as low as $35. Call today for a quote. 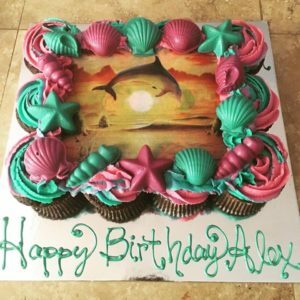 Pictured below is a 12 cupcake cake with an edible image and vanilla candy seashells, personalized for the birthday girl in an ocean theme! 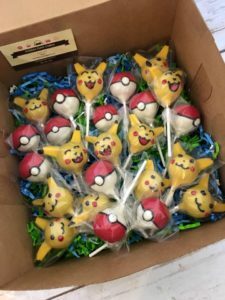 Hidden Gem Cakes in North Phoenix has cupcakes, cakes, cake pops and pull apart cupcake cakes, all made to order especially for you. 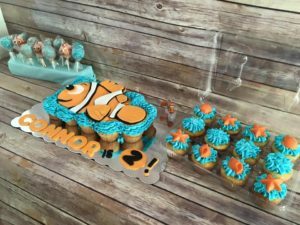 Let us help make your next special occasion even sweeter – baby showers, birthdays, gifts, engagement celebrations, holidays, gender reveal parties …. even weddings on a budget! Call us today for a quote.